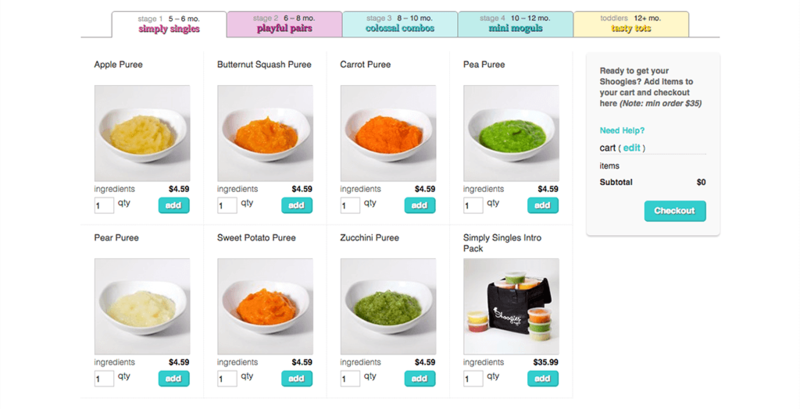 Creating delicious homemade organic baby food delivered to your doorstep. 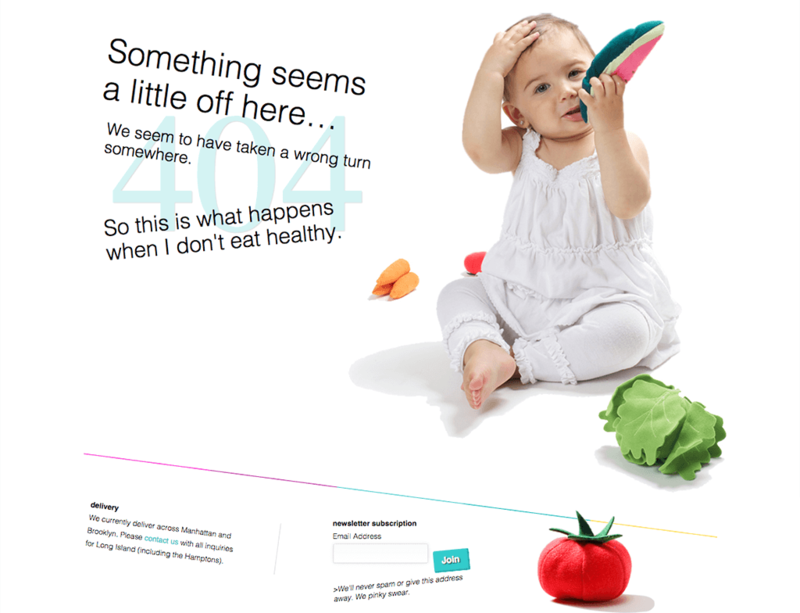 The challenge: To give parents a new option for healthier, organic, non processed baby food that would be delivered to their homes weekly and purchased online. My role & approach: A friend started making her own baby food recipes to give her niece a healthier option than what was in stores. We discussed the idea and thought this would be a great new option for parents. And so we bootstrapped, researched the market, spoke to parents to figure out their needs, designed the brand based on our vision of a fun and playful experience, all while having full-time jobs. At the time no one in this market was fully pushing the envelope of human-centered online experiences . Every site looked like your typical e-commerce website. We worked with a small web development firm to help us with the e-commerce side of development. I would create the documentation and high fidelity designs to highlight the users experience and interactions for them to implement on the back-end and front-end. The impact: After launch we received a lot of positive feedback from the mommy community in New York. We also become a must have for parents looking for healthy, homemade food options for their babies as seen in TimeOut, Observer and RedTri. Proving that even with so many big players in the market there is always room to innovate and give better options. Image Caption: Shoogies NYC Mailchimp welcome newsletter banner. Image Caption: Shoogies NYC homepage. Image Caption: How Shoogies NYC works. 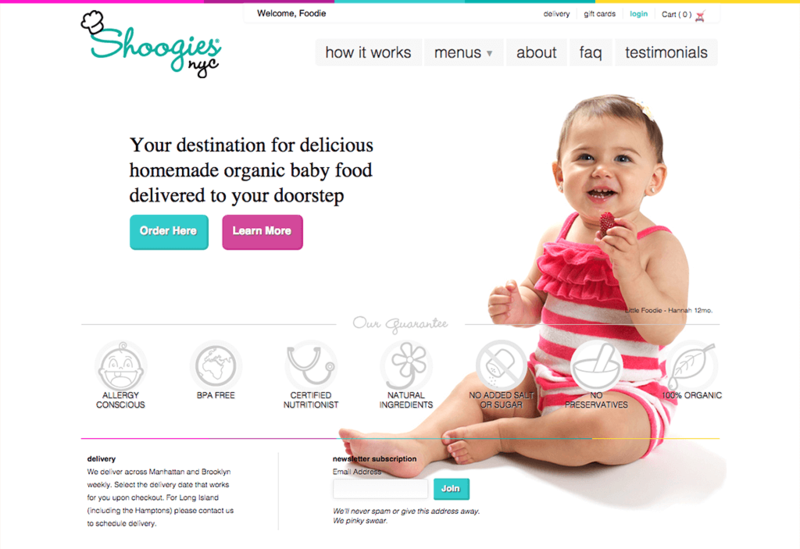 Image Caption: Shoogies NYC product page. Image Caption: Shoogies NYC 404 page. Image Caption: Shoogies NYC Mailchimp unsubscribing newsletter banner.